Newcomer Family Obituaries - Larry Rice 1952 - 2018 - Newcomer Cremations, Funerals & Receptions. Larry E. Rice, age 66 of Columbus, passed away on November 23, 2018 at Ohio State University Hospital. 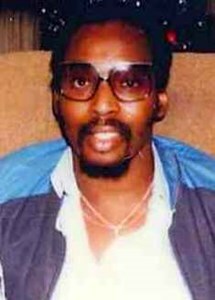 He was born on November 13, 1952 to the late James E. and Ruden (Aiken) Rice in Hodges, SC. Larry is survived by his siblings James (Charlotte) Rice, Rosetta (Bill) Lawson and Carolyn (Grippen Hairston) Rice, several nieces and nephews. Add your memories to the guest book of Larry Rice. I will never forget the day my sister Lenore and I met Larry on October 4, 2010. This was the first day we had ever met any connection to our mothers side of the family. It gave me such a warm feeling and also answered a lot of questions I had about out families history. Larry was so very pleasant toward us as we held his hand and greeted him and your mom. The PA family want you all to know that you are in our thoughts and prayers, and we pray that you can feel the touch of God's presence as you go though this time of sorrow. He is no longer suffering and he is in the Lord's care along with your mother who loved him so dearly.